Lately I’ve been noticing so much texture in designs–in fashion, home furnishings and items for decor. It’s nice to see because I love texture. Below are some simple designs with frayed edges that I locker hooked. 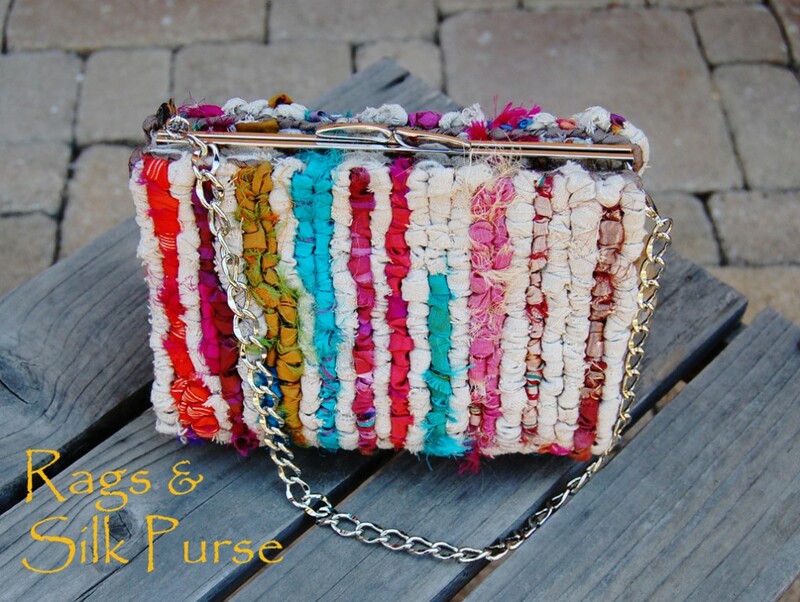 The first is my Rags and Silk purse design from my Locking Loops book hooked with Osnaburg and recycled sari silk strips. 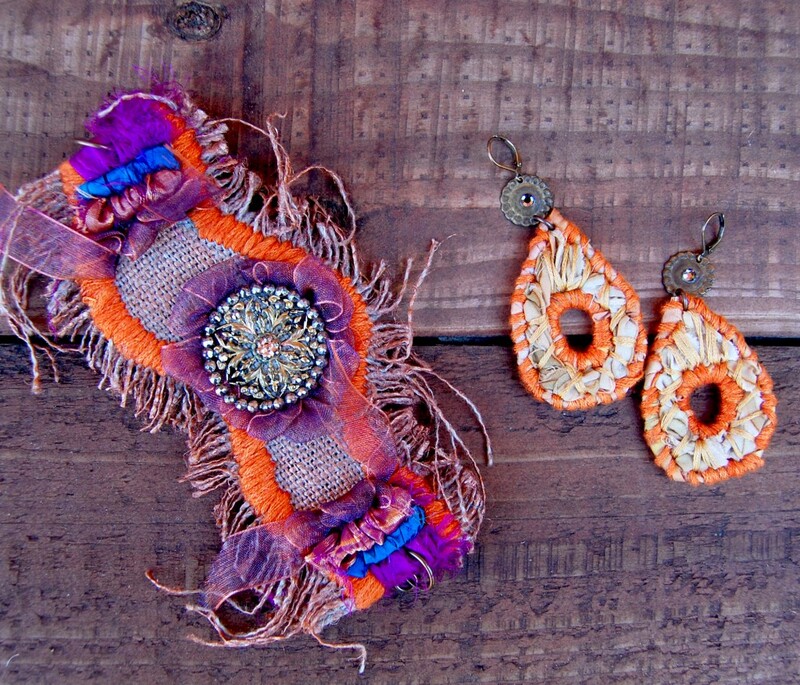 The following designs are a bracelet in linen burlap and earrings in 6-mesh canvas–both made from leftover remnants. 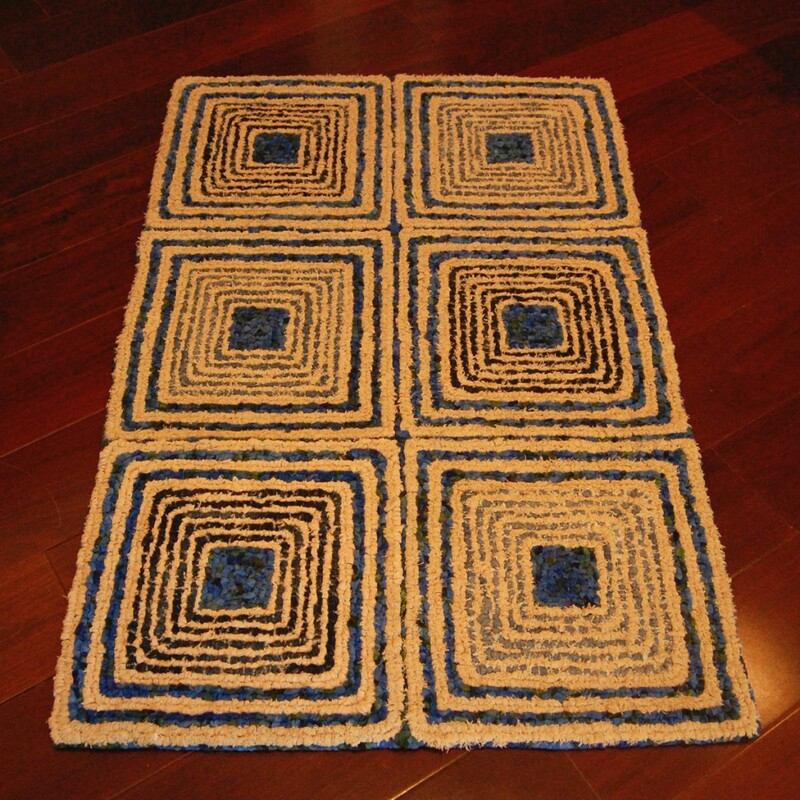 The last is the Spiral Squares locker hooked rug from Locking Loops in recycled denim and Osnaburg fabric. It’s so fun to tear strips with frayed edges you can use to create beautiful designs. Very stress relieving. Tear away! The post Torn! Frayed Edges with Rich Colors appeared first on Color Crazy.